neighborhood or on the road. Welcome to Dr. Energy Saver! We are the largest energy services contractor network across the country. 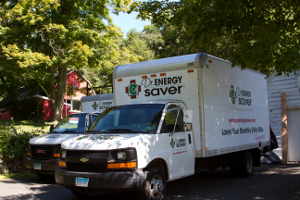 We are dedicated to helping improve home energy efficiency, health and comfort for each and every one of our clients. About the owner. Larry Janesky started out as a 17-year-old self-employed carpenter. After building over 20 homes, he spent the next two decades building Basement Systems into an industry-leading company specializing in basement waterproofing, basement finishing, and crawl space repair. For more information about Larry's journey to Dr. Energy Saver, check out his personal website and follow his daily blog. Today Basement Systems has over 300 dealers in 6 countries. 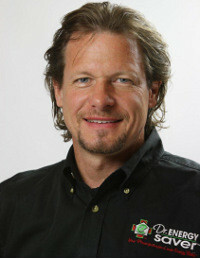 Larry's interest in building efficiency has lead him to write 3 books - Dry Basement Science, Crawl Space Science, and Basement Finishing Science, and develop an exclusive line of products protected with more than 30 patents. How Dr. Energy Saver started. Larry has always been interested in efficient building and energy conservation. There are so many people who want to save energy but don't know what to do. Larry knew that he had to form a company to make energy saving strategies clear and easily available to every homeowner. Dr. Energy Saver was born.